Quetta: Semi Finals of Ufone Balochistan Football Club were played today at Railway Ground located on Zarghoon Road, Quetta. 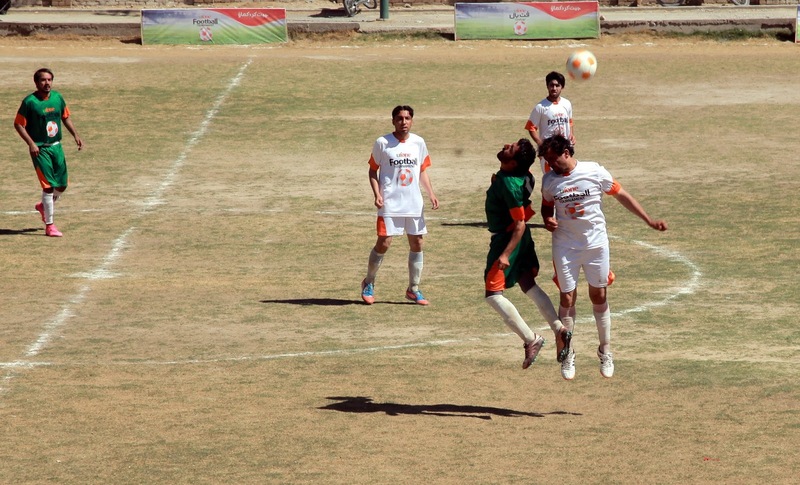 First semifinal of this tournament was played between Noshkal Football Club (FC) and Afghan Football club (FC) Chaman. Match was played at a fast pace and both teams made numerous raids at opposition goals but were unable to break the stalemate in the first half. In the second half, Nisar Makkah of Noshkal Baloch FC took advantage of a defensive lapse of Afghan FC and put his team in the lead. The solitary goal scored by Nisar proved decisive and put his team in the final of this tournament. Second semifinal of the tournament was played between Aqua FC Quetta and Afghan FC Pishin. In this interesting match, Aqua FC Quetta beat Afghan FC Pishin by 1-0 score line courtesy to the goal scored by Khano and qualified for the final of this tournament. The winners of both the semifinals will meet in the final at Railway Ground Quetta on 29 March to vie for this year’s title.